Robert Franklin, public theologian and James T. and Berta R. Laney Professor in Moral Leadership at Emory’s Candler School of Theology, is taking his teaching from the classroom to the world as he leads a group of Candler students on a 10-day seminar to South Korea May 20-30. Students in Franklin’s summer course on moral leadership are traveling to Seoul "to examine moral leadership in context by visiting with leaders we regard as important moral agents in their communities and country," says Franklin. World War II-era "comfort women"
In addition to their time in Seoul, students will travel to the City of Panmunjom near the Demilitarized Zone (DMZ) between North and South Korea on May 23. Their visit will be one day prior to the planned peace rally by Gloria Steinem and a group of women’s rights activists, who will walk from North Korea through the DMZ to South Korea to bring attention to the issue of normalization. "There are a lot of divided families who are concerned about reconciling the nations and reuniting family members during their lifetimes," says Franklin, who adds that the group also plans to meet with a number of North Korean refugees while in Seoul. Franklin and his students also will meet with family members whose loved ones died in the Sewol Ferry disaster and attend a Catholic mass held weekly for the survivors. In addition to meetings, worship and fact-finding trips, the students will participate in a demonstration alongside Korea’s World War II-era "comfort women," says Franklin. Forced into sexual slavery by the Japanese army before and during the war, the surviving women are now in their 80s and 90s and still hold regular demonstrations outside the Japanese embassy. Their demands include an official apology and reparations from the Japanese government. Co-leader of the trip is Korea native and Candler alumnus Won Chul Shin, now a Ph.D. student in Emory’s ethics program. Shin, who also is a graduate of Yonsei University, will lead a tour of Seoul, and will translate and interpret in the group’s meetings with leaders. 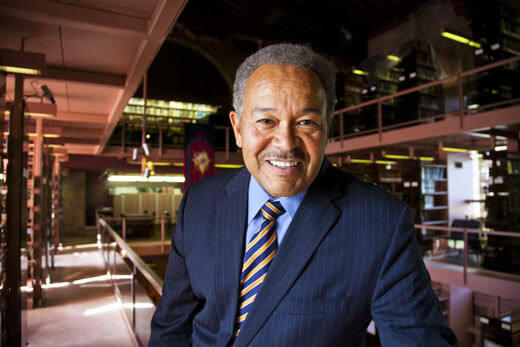 In planning the trip itinerary, Franklin says he has been in close contact with his professorship’s namesake, Emory President Emeritus James T. Laney, who served as U.S. Ambassador to South Korea from 1993 to 1996. "He’s been very helpful in opening doors and assisting us," says Franklin. “President Laney also told us that in his time there as U.S. ambassador, Berta Laney joined in the protests by Korea’s comfort women,” Franklin says. "We will stand in that tradition of solidarity with those who’ve been exploited."